Hotel Barcelo Arenas Blancas Resort 4 star hotel is situated right on the oceanfront of Varadero beach, Cuba’s famous beach destination. This 23KM never ending beach, also called as Playa Azul beach, has a massive expanse of fine white sand and crystal clear turquoise waters. Barcelo Arenas Blancas Hotel, also known as Solymar is just 200 metres from downtown Varadero affording guests easy access to places like the Parque Josone theme park, numerous local Varadero Paladares, Restaurants and the dolphin sanctuary. 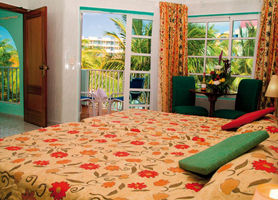 Furthermore, guests are but 5 minutes from the world class 18 hole Varadero Golf Course. The Barcelo Arenas Blancas exclusive resort is nestled within beautiful tropical gardens and amazing scenery. Boasting 3 swimming pools, daytime and evening entertainment for youngsters and adults alike, and a wide range of sports and activities characterized by the excellent Barceló All Inclusive program, which will allows guests to fully enjoy all the services and facilities of this magnificent 4-star hotel. The Barcelo Solymar Arenas Blancas Resort hotel offers 2 accommodation areas. The first, is called the Solymar area which offers the ideal setting for couples to enjoy a holiday together. The second area called Arenas Blancas, has numerous attractions for all the family to enjoy. This fabulous Barcelo Arenas Blancas hotel also offers an extensive variety of cuisine with no less than 4 buffet restaurants where you can enjoy excellent the best international food. If you wish, you can try typical Italian and Spanish dishes in the a-la-carte restaurants, or treat yourself to the best seafood in our Seafood Caribe restaurant. In yet another a-la-carte restaurant, Varadero, you can savor traditional Cuban cuisine. Having two distinct areas with one hotel allows couples and families to be divided, providing attractions for each in specific areas of Barcelo Arenas Blancas. 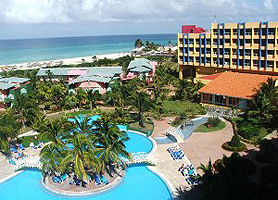 Hotel Barcelo Arenas Blancas Varadero is usually in very high demand and, as such, should be booked in advance. Our booking program allows reservations at Hotel Barcelo Arenas Blancas without down payment or deposit which will guarantee your dates and also allows preferential modifications should your dates change in the future. Our booking process is unique because it shows the best rate from all of these for Hotel Barcelo Arenas Blancas in Varadero Cuba and the types of rooms available. 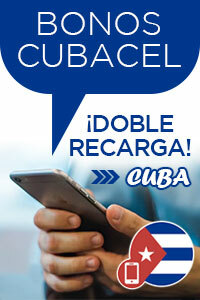 Our Hotel Barcelo Arenas Blancas Varadero rate comparison is an industry first for Cuban Hotels. Once you’ve compared the rates, finalizing the booking at Hotel Barcelo Arenas Blancas Varadero takes just seconds and an immediate confirmation is provided in real-time.